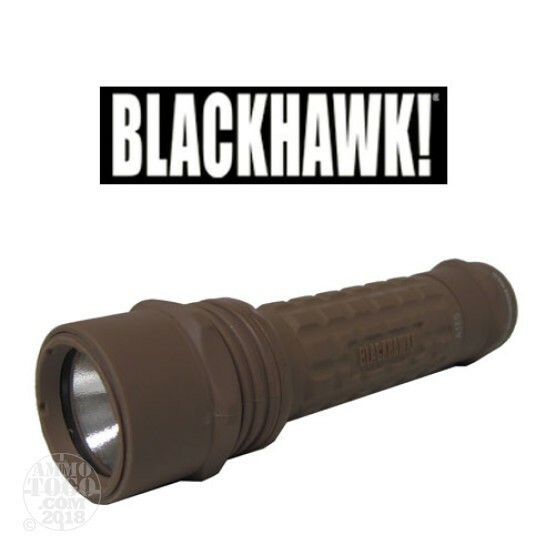 This is a Blackhawk Legacy X6-P LED Flashlight 65 Lumens Coyote Tan. The Legacy X6-P is an extremely lightweight and durable lighting tool that features an anti-roll system, Xenon lamp assembly that produces 65 lumens of pre-focused intense white light. Polymer lightweight durable body. Completely pre-focused, penetrating light beam that leaves no shadows or artifacts. Ideal for duty carry or personal defense. Modes of output: Momentary Switch and Constant On with clickable tailcap switch.